Fr. David wants to make sure that all members of SsAM are invited to attend the four week Advent study that will focus on how SsAM might implement Invite-Welcome-Connect. These sessions will be held on Thursday evenings November 29th, December 6th, December 13th and December 20th from 5:30 to 7:00. 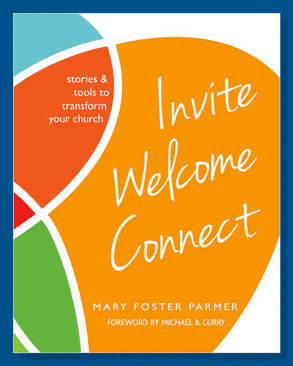 Each evening will begin with and shared meal and time for prayer and then each week we will look at each piece of Invite-Welcome-Connect. The purpose of these sessions will be to dream and to explore new and creative ways that SsAM might become an Invite-Welcome-Connect parish in the Episcopal Diocese of Delaware. Please let Fr. David know by email or call the church office at 302 656-6628 to let him know that you wish to attend and participate. Fr. David would appreciate if folks would let him know by Sunday, November 29th. He looks forward to this Advent study as it will be a wonderful way to prepare and welcome the Christ Child on Christmas Day.